Sorting sounds game is a fun way to reinforce letter recognition. 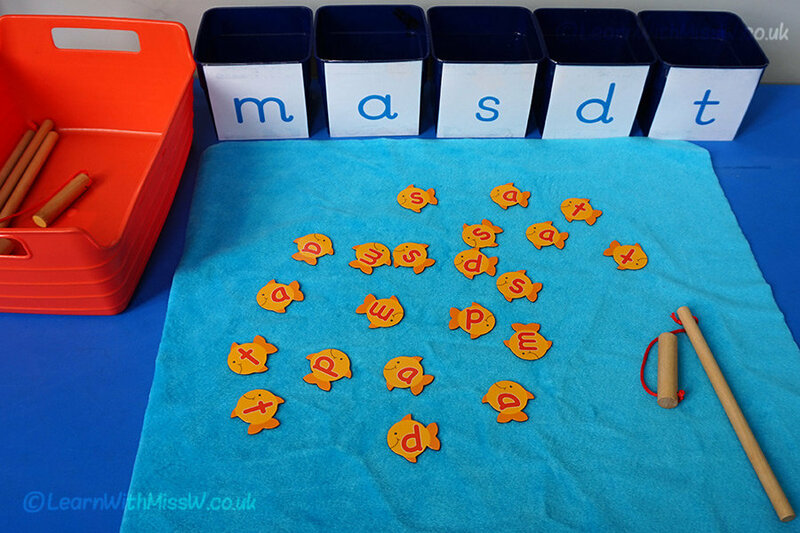 We started learning letters and sounds in the first week of P1 using the Read Write Inc programme (www.ruthmiskin.com) and this game is available for learners at any choosing time. I think 5 different letters is a manageable amount to sort and I have removed all the other letters. It is unfortunate that the font used on the fish does not exactly match either the formation taught or the font I generally use in class in terms of flicks on the letters, but in this case it could not be helped. Children enjoy playing this game and it helps them to pay close attention to the shape of the letters. When they are playing, they tend to sort without saying the sound out loud unless prompted by an adult to do so. Next week I’ll update the game to include the new sounds that we are learning.